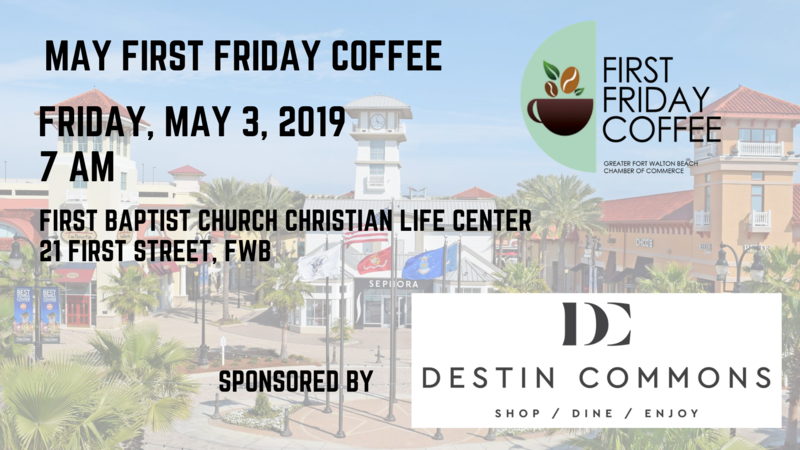 Join us for the most exciting regular networking event in Okaloosa County - First Friday Coffee. This month we're sponsored by Destin Commons. No need to register in advance for this event - pay at the door.